These are really nice and quite fun to make, and they work. You may think, this Hot Stuff by Craft Yarn Council of America is hard to make, in fact is not! It’s just a bit slower than the usual crochet project because you have to make the mesh grid before you can begin the squiggles. Thanks to Craft Yarn Council of America for this article inspiration and featured image. 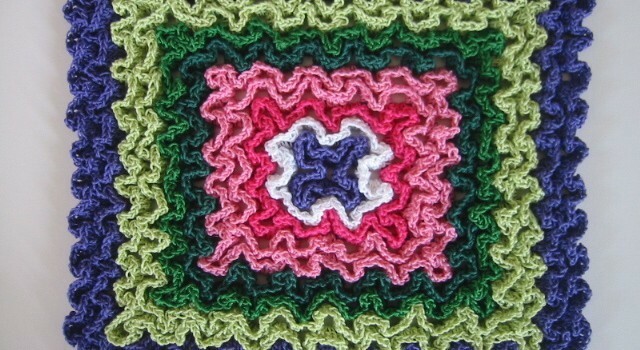 WOULD LOVE TO HAVE ALL YOUR CROCHET PATTERNS AVAILABLE? 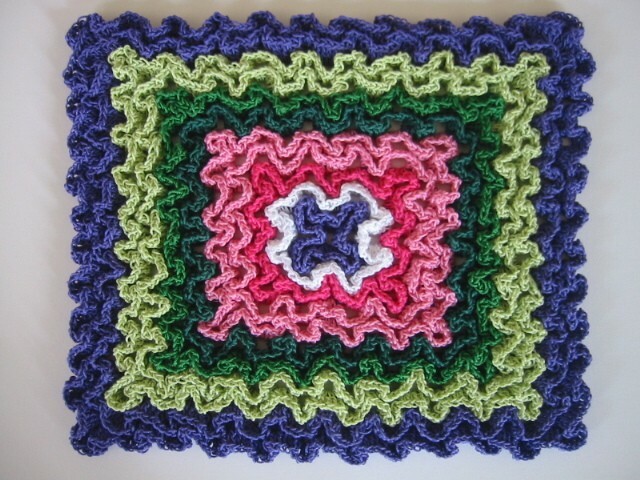 Pretty color that give a blanket with different color. ……………?……. Would make a great bath mat too! I still have mine from years ago, but they are made with normal crochet thread! I made something like this almost 40 years ago but was not quite as big. I want to try this. I really like the way it looks. I’m in the middle of making a throw rug for my living room in this style. Testing it now to see how it holds up to foot traffic before finishing to size. I think the block is a very good hot pad style.